Considering purchasing the Pioneer HDJ-X5 Headphones Silver? Have questions? Ask people who've recently bought one. Do you own the Pioneer HDJ-X5 Headphones Silver? Why not write a review based on your experience with it. Great and do their job well! Great headphones with great sound! Another amazing bit of kit from pioneer. I got these part of the DDJ 400 kit for Â£449 they are very well boxed and presented like they are of very High value. The sound quality from them is top notch and they sit perfect around your ear and block out enough sound to here what track your about to mix in. No issues and would be worth the Â£89 they cost. very small amount of money for such a good set of entry level head phones. Please if your local or you can drive please visit DJ Kit amazing staff and they really do look after you. I only spent a very small amount of money and was made to feel as tho I was buying the shop they couldnâ€™t do enough for me. Really pleased with these headphones, they are comfortable and really robust. The cable is just the right length and does not get all tangled up by itself. The sound quality is great for the price you pay and is perfect for a DJ as these headphones will withstand lots of wear and tear. Glad I converted too Pioneer! Great service and delivery from DJ its as always! Very comfortable and nice sound form the headphones, which what you should expect from the Pioneer brand......They are well built but havenâ€™t dropped them or put the headphones through their paces as yet. There are other good headphones out on the market within that price range so itâ€™s best to do your research first before making your purchase. 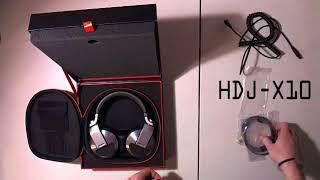 Seen a video for Pioneer HDJ-X5 Headphones Silver online or have you own video? 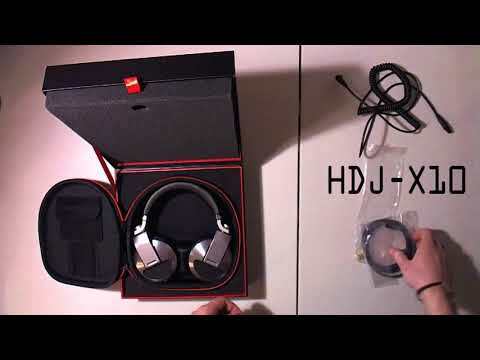 Check out Pioneer HDJ-X5 Headphones Silver on DJkit.com!